Torre de Palma, Wine Hotel price per day from € 150 Featuring white-washed Alentejo architecture, Torre de Palma, Wine Hotel offers indoor and outdoor swimming pools, a spa and wellness centre, and a restaurant and bar. Other amenities include a minibar and safety deposit box. They can also relax by the pool, in the hammam, or with a massage..
Quinta da Dourada price per day from € 47 Located in the heart of São Mamede Natural Park, Quinta da Dourada offers a peaceful retreat for nature lovers. This environment-friendly farmhouse has won the Green Key and offers spacious gardens and country-style accommodation. The communal dining area includes a fireplace and there is also a communal lounge where you can relax with other guests..
Hotel Rural Santo Antonio price per day from € 90 Located in the village of Arronches, the Hotel Rural Santo António offers rooms with a flat-screen TV and a private balcony. 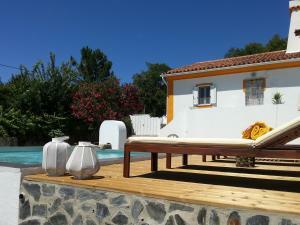 It features an outdoor pool and a Jacuzzi® with uninterrupted views of the Alentejo region. All rooms have a work desk, and an en suite bathroom. Quinta do Cabeçote Located in Cabeço de Vide, Quinta do Cabeçote is a traditional white-washed farm featuring Alentejo architecture. Accommodations range from apartments to private rooms. Quinta do Cabeçote offers guests the opportunity to work-out in the gym, relax at the sauna and then take a refreshing dip in the outdoor swimming pool..
Casa da Vila Located in Castelo de Vide, Casa da Vila is set on a traditional building in a quiet street a few minutes’ walk from the centre of the town. The 1st floor apartment features a balcony where guests can enjoy their meal al fresco. 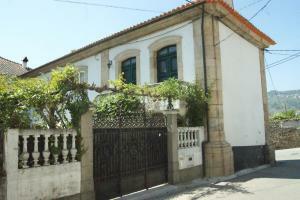 Situated 20 km from Portalegre and 10 km from Marvão, Casa da Vila offers guests the opportunity to visit the castle and enjoy the panoramic views of the surroundings and the Serra de São Mamede Natural Park..
Casa Da Muralha price per day from € 51 The Casa da Muralha is located in the upper part of the old town of Castelo de Vide, facing the old town walls. 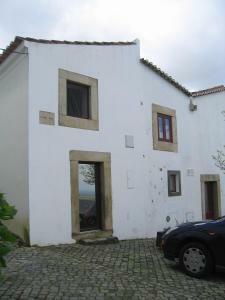 It is a typical and rustic house from the Alentejo region. The church of Santa Maria da Devesa is a 5-minute walk from the house. Casa Dos Galegos Combining traditional architecture with a modern layout, Casa dos Galegos is a private property with two different houses, located in Galegos, in the Alto Alentejo region of Portugal, only 11 km from Marvão village. Each house features a private outdoor swimming pool and a tiled stove. The kitchens are fully equipped and there are barbecue facilities available..
Mansao Alto Alentejo price per day from € 35 This traditional hotel is located in the historical city of Portalegre, close to the Cathedral and the Santa Clara Monastery. The hotel’s rooms are decorated with rustic wooden furniture in bright colours and tiled floors. Guests can start their day with a breakfast buffet, before exploring the surrounding area..
Varanda Do Alentejo price per day from € 34 Situated in the centre of Portugal’s highest town, this small guest house features air-conditioned rooms with free Wi-Fi. Each cosy room at Varanda do Alentejo is comfortably furnished with an armchair, minibar and telephone for personal use. Rustic, Alentejo-style food is available at Varanda do Alentejo’s restaurant..
Casa da Ermida de Santa Catarina price per day from € 90 The Casa da Ermida de Santa Catarina has a glass wall and doors in the living room, which open to a furnished terrace with stunning lake views from the house and swing beds. 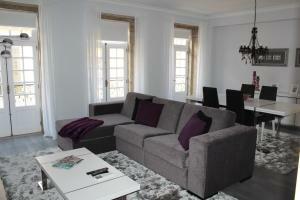 The house is set right on top of the Caia Dam lakeside and has scenic green surroundings. Herdade da Cortesia Hotel price per day from € 126 Situated near Maranhão Lake, this 4-star design hotel offers air-conditioned rooms with a furnished terrace. Floor-to-ceiling windows, wooden floors, and warm colours are part of the modern décor. Bike and canoe rentals are available at this environmentally friendly hotel. 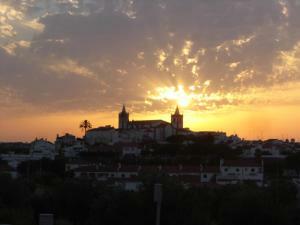 Convento D\ price per day from € 50 Situated in a restored 16th-century convent, this hotel is located in Alter do Chão. 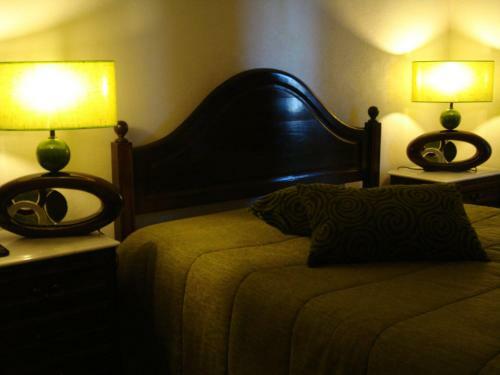 Rooms at the Hotel Convento D'Alter are bright and have antique furnishings. Guests can play a game of billiards, or rent a bicycle and explore the countryside..